It's a little late in the day, but I would still like to congratulate all those who have ever taken a picture, in particular those who consider themselves photographers and especially those who use the magic of darkroom techniques to produce their images. 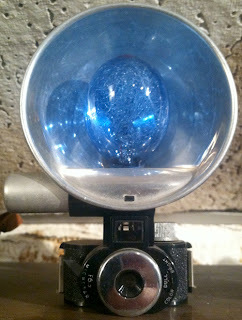 Today is our day - International Day of Photography. It was on August 19th 1839 that the secret of a new process called Photography, by which images from camera obscura could be made to permanently and automatically captured upon a surface, was announced to the rest of the world by a French scientist Louis-Jacques-Mandé Daguerre. It was a new and exciting concept as now nature could be recorded with a higher degree of detail than ever before. No longer did we rely the selective fancy of an artist to pick and chose what should and what should not be recorded upon a canvas. Now all that was needed was a solid knowledge of this new process and a good camera with a sharp lens and the world around us was translated in minutia upon the surface of a silvered copper plate via a chemical reaction of light upon the salts of silver. Needless to say, throughout the past 173 years many technical innovations and artistic movements that aspired to define the visual syntax of this art-form have influenced our perception and treatment of images produced. In 1839 though all this was still in the future and the eager public was just happy that they didn't need to learn how to draw in order to relate the world around them in the way that they experienced it to the coming generations. I respect the effort that was put forth by camera-men of the past. Today I sing praise to those who developed daguerreotypes in a tent with the fumes of mercury; the civil war-time tintypists, who built rolling darkrooms in order to record the carnage; pictorialists, who tirelessly experimented with new printing methods in order to have photography recognized as one of Fine Arts; members of F64, who finally and clearly defined photography's own unique voice and value and all those who have seen the world through the eyes of the camera and loved it. Today is Your Day. As it happens, it was exactly a year ago that I set out from San Diego in my old Toyota and drove 400 miles north to meet Gilli-the-Gillig. The bus that was to become The Photo Palace was purchased a few days before on eBay and now I was finally to see it in person. I was unaware of the significance of the date of my departure until Garrison Keillor of my favorite radio station, NPR, announced it in his quiet pleasant voice. My heart melted and I knew that I had something truly special about happen to me. Coincidences like that don't happen often and some say that there are no such things as coincidences at all. Today also happens to be the birthday of Rob McElroy - a most incredible photographic enthusiast whom I had a pleasure of meeting last night in Buffalo NY. Here's the story of my presence in this picturesque town. Yesterday I pulled into town about noon and drove Gilli to a camera store called Delaware Camera. There I finally restocked on some Fuji instant film and took a look at the small selection of used film cameras and accessories that they had there. I must say that the pickings were slim, but if anyone reading needs a Nikkromat for a decent price of a Leica R with a 35-70 - do give them a call. While I was browsing I struck up a conversation with Eric, who was the one man behind the counter who seemed like film camera era occupied most of his time as a photographer. Upon mentioning that I am traveling in a darkroom bus Eric became more excited than most people and exclaimed that he remembers The Photo Palace Bus from the days of Kickstarter! He was eager to meet Gilli and see the darkroom and even summoned a few of his staff and customers with the words 'you got to see this, this is pretty cool'. I instantly felt a connection there and we spent a good amount of time in The Bus. In the end they took some pictures of me (some using the above-mentioned Leica) and Eric even bought two nice prints from me. As I was about to leave he mentioned that there is a daguerrotypist in town by the name of Rob McElroy and that I ought to meet him and printed out a page with his info. I did not call Rob right away as I was on a mission to raise the funds for the workshop, which I am sorry to announce I did not succeed in... $300 was realized, but I can not afford to take the rest $225 out of the gas funds and now the amount raised will be put straight into the tank in the form of one fill-up that will carry Gilli and me about 500 miles westward. I thank all those who came through in these past three days - I really appreciate it and I promise that some day I will go back to GEH and take that workshop and hopefully many more that are offered by Mr. Osterman. I'm a bit sad that I will not be in Rochester tomorrow, but there will always be time for learning and indeed this is a continuous learning experience in itself - I have learned not to rely on too much on other peoples partnership and am slowly but steadily learning how to keep the road-life going on my own. Plus yesterday was a very special day in the company of Mr. McElroy and it gave me enough inspiration to keep going with my chin lifted high. When I finally called Rob's number I got a long series of ring tones with no answering machine. I was not about to hang up on a daguerreotypist because I have always wanted to meet one in person and I actually saw Rob's images a month or so back on a website devoted to contemporary daguerreotypes. After a good two dozen ring tones to my relief I heard a cheerful Hello come from the other side and the adventure started from there. It appears I caught Rob right as he was leaving his house to go meet up with his girlfriend for a pre-birthday dinner and he was even planning on spending the night at her place as she had a full day planned ahead for the birthday boy complete with a mysterious surprise-getaway. When I explained the nature of my call and photographic mission Rob became audibly excited and told me that he will re-arrange the entire evenings plan and that he'll call me right back after alerting his girlfriend. He in fact did call me back in a couple of minutes and invited me to drive over and park Gilli in a large parking lot next to his studio/lab. Apparently I was already less than a mile from it already and within a few minutes I found myself in the back of an interesting-looking building and Rob rushed out to greet The Photo Palace and me. The next 7 hours were a whirl-wind of photographic stimuli. Rob is a true inspiration to anyone who is interested in the history of photography, equipment and all that was involved in the art and craft of image-making for the past 200 years. He is someone I aspire to grow into when I get to be his age. Not only does he produce amazing quality daguerreotypes, was the first one to use electronic flash for their production and built the first hand-held camera for their production, he also is a photo conservator, collector of everything ever associated with photography such as literature, prints and media, cameras and accessories and so much more that I was completely overwhelmed to be in the space that he occupies and calls home. 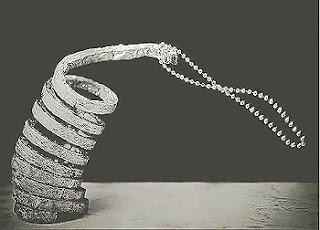 Here is one of his images - a daguerreotype made with the aid of flash! You may ask - How much flash power does it take to capture something like this? Well, I had a pleasure and a surprise of finding out. 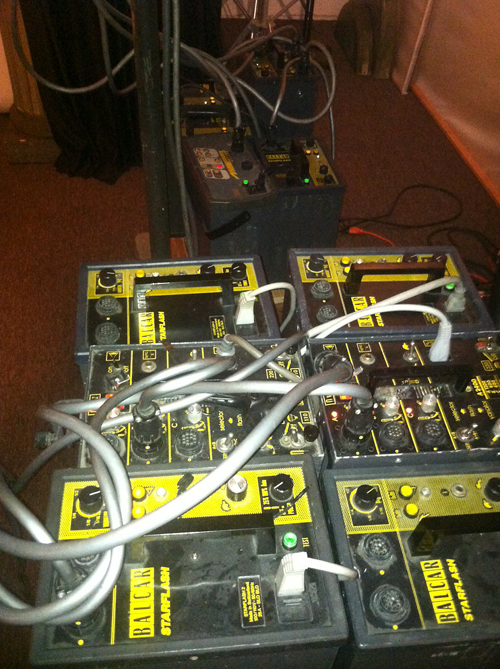 Here is the array of power-packs that Rob uses (note the ones in the back too). Rob led me around the house and showed me an office in which some of his favorite images were hanging. Among his exquisite works were mixed in various prints that I instantly recognized ad those of the masters of old and the whole tour felt like a personal trip to some amazing museum archive. I even got to handle a few real Autochromes and examined them under a loop! There were WAY too many things that I saw that raised goosebumps upon my skin. It was like walking in a dream - everything was real though. His lab was incredible and he quickly showed me where he silvers the plates, buffs them out, fumes them with iodine and bromine and finally develops them with mercury. 90% of the equipment he uses is custom-manufactured by Rob himself and the craftsmanship and attention to detail is of the utmost highest degree. Then it was time to go and take an all-too-quick look at his camera collection. I say it was quick, but we must have spent a good hour in his garage/storage space and probably didn't pay any attention to but 1/50th of all that was there. 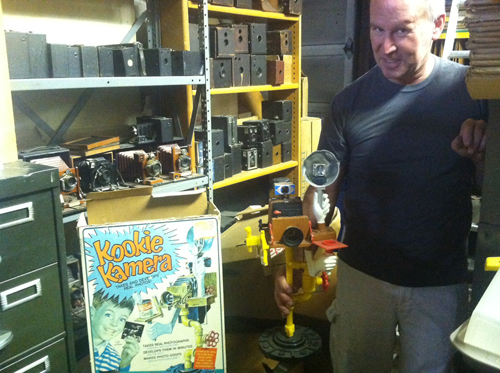 Among the most memorable cameras shown to me was this fantastic king of all toy cameras - a Kookie Kamera from late 50s. This thing actually was meant to be loaded with direct-positive paper and chemicals in a tank in its back and would actually produce a real black and white print in minutes! 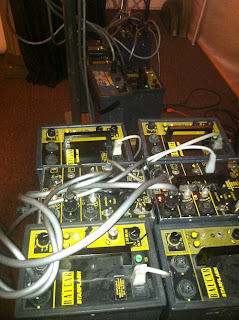 That's what some lucky kids got to play with back in the day. Here's Rob showing it off - you can just see how much he gets a kick out of it. And here is another amazing little find that is nestled upon the crowded shelves - I have never seen such degree of proportions between a camera and its flash. Mind you - the blue flash bulb is a regular-size one of about 1.5in in height. I don't think I have ever met a man that was more into photographic paraphernalia than Mr. McElroy and I truly loved being in his company. His girlfriend Patsy was a delightful conversationalist as well, as I found out over a couple of drinks that she was kind enough to provide us in a local bar after the prolonged tour that Rob led me upon. She is a more scheduled type though and I could see that being inside the garage surrounded by boxes stacked higher that one could reach made her rather nervous - I bet deep inside she wants to At Least dust all that stuff off and alphabetize it all. I was feeling like an intruder and kept apologizing for showing up unannounced at such a special time to which both of them kept re-assuring me that it's not a big deal. Empowered by that I hung around till 3am looking at things that I have never seen and may never see again and loving every second of it. Rob - THANK YOU and HAPPY BIRTHDAY! In the morning Rob actually bought a print from me in support of my goal of taking that workshop and (I hope) also because he liked the image. It was an image from my BFA show showing back-lit fern leaves and the pattern of their vein structure and shadows that they threw upon each other. It was one of my favorite images out of the 365 that I did print for that show and it stood out strongly from all the rest as it was one of a handful that was not a candid street portrait. When questioned by a professor about its nature and whether it belonged in the documentary show called 'The City', I replied that 'it belonged in the city as much as I do'. Buffalo is a pretty neat-looking town and right now I'm going to head to see Niagara Falls before leaving town and heading west. I think it's going to be fun seeing the falls at night - something different and in-tune with the rest of this crazy adventure. Don't know where I will be stopping before I make my way to Minnesota - the road is long and serendipitous adventures await!